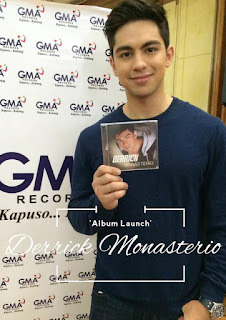 According to Derrick, a GMA 7 heartthrob, it is a dream come true for him to have a CD album because he always wanted to sing since he was a child. This is a career changing move on him as he is known as one of the upcoming talents of the Kapuso Network. Perhaps this singing career will catapult him to big league and let us review the album if it will make or break him. The album gets a lot of support as two songs were written by Ogie Alcasid and Janno Gibbs; “Kailangan Kita” (which was already recorded by Piolo Pascual and Gary Valenciano) and “Ang Aking Puso” respectively. It also included compositions from well-known hitmaker Vehnee Saturno entitled Reyna. The carrier track was composed by award winning composer Toto Sorioso. Additional star power were also provided by Julie San Jose who did a duet with Derrick with the song “Ang Aking Puso” and Hannah Prescillas a Bet ng Bayan grand winner in the song “Kailangan Mo, Kailangan Ko.” This EP is indeed loaded in terms of support. This album is so typical in terms of musical packaging. A love song there, a ballad here, an uptempo beat, and bubblegum pop somewhere else in the album. In fact the whole formula and structure of this record will remind you of Dingdong Avanzado’s “Just Can’t Stop” album during the eighties and Louie Heredia’s “Nag-Iisang Ikaw.” There is nothing wrong with following a formula but it kept away from exploiting Derrick Monasterio’s charm. He ended up a copycat in this record despite the fact the he indeed can carry a tune and being an actor will enable him to deliver songs more passionately. This is the problem when musical artists do not write their own songs and rely only on their producers to fill the albums with supposedly good songs. Thus, his version of "Kailangan Kita" pales in comparison especially with that of Piolo Pascual version. The album is not a total waste though as “Batobalani” is a good track and just fits his vocal quality. 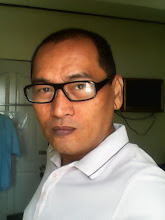 The song “Give Me One More Chance” needs more polishing as it sounded so dated it will remind listeners so many Pinoy one hit wonders during the eighties and early nineties. 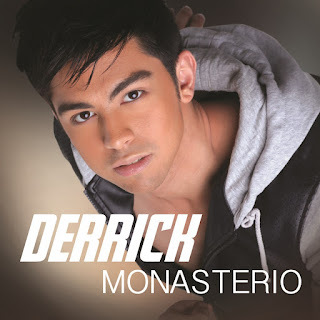 As a whole, the album is a treat for Derrick Monasterio fans but for music lovers looking for serious music, it is a letdown. But, this is a good start for him. If there will be a second album, hope he will choose the songs carefully and improved on the production values so that the next album will not sound like an eighties album.